Planning an amazing birthday party for your little girl, but want to keep your cake and treats gluten and sugar free and low carb? 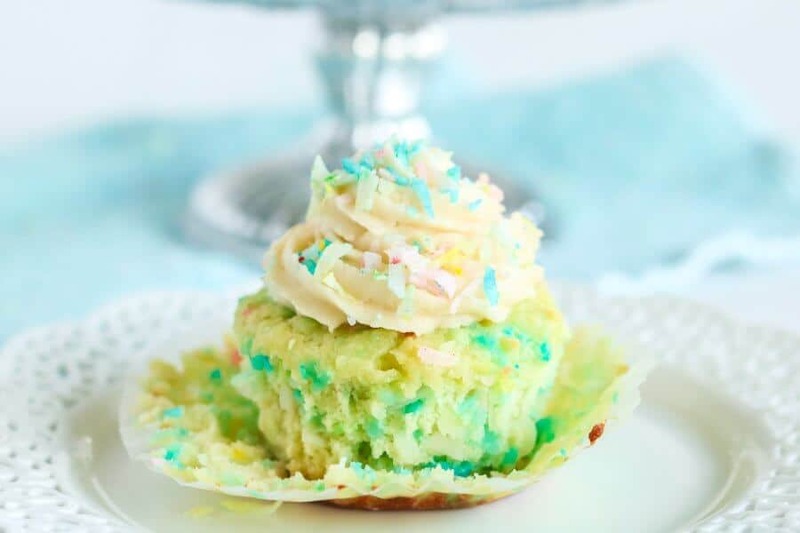 Then both of you will adore these little keto vanilla confetti cupcakes. They are delicious, moist and fluffy and can work perfectly with any rainbow, unicorn or girly birthday theme. 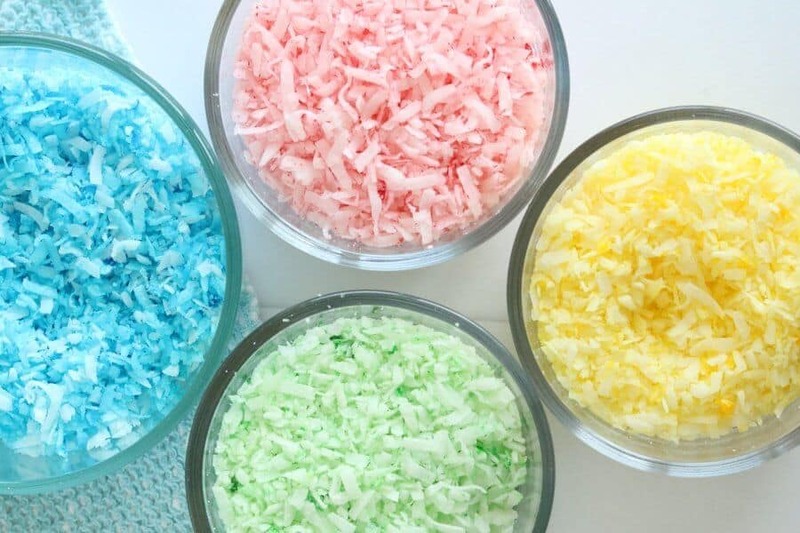 Of course any confetti or funfetti cake starts with the sprinkles. 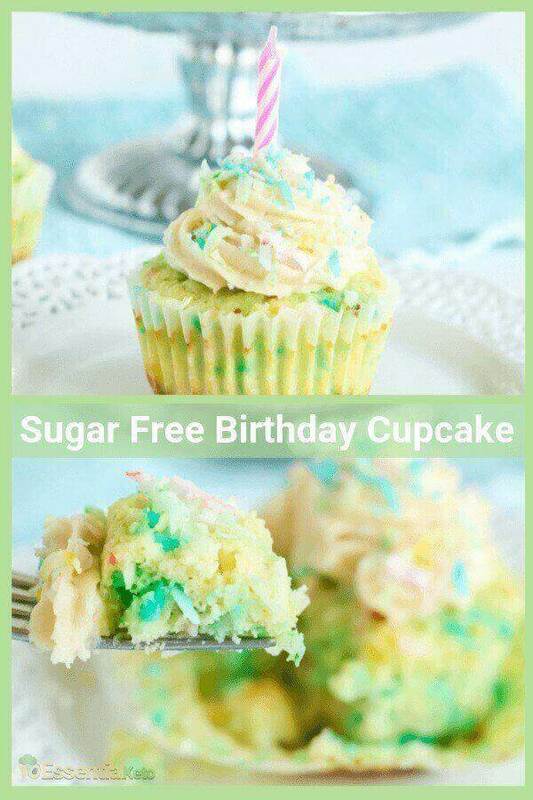 You'll want to make these yourself, because all the store bought sprinkles are laden with sugar. 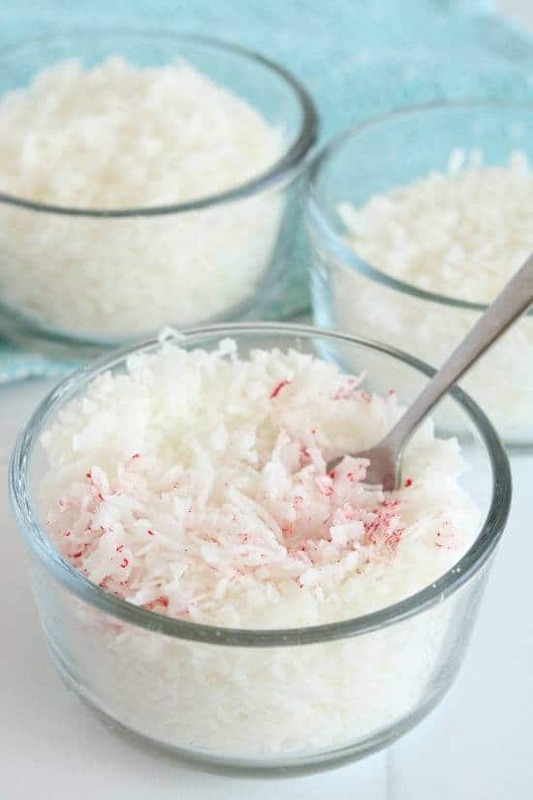 You'll need a cup of unsweetened coconut shreds and your favorite natural food coloring. Carefully check the label as the ingredients and carbs can differ substantially between brands. You need a really small amount of coloring to create each color. Mix each color in its own bowl. 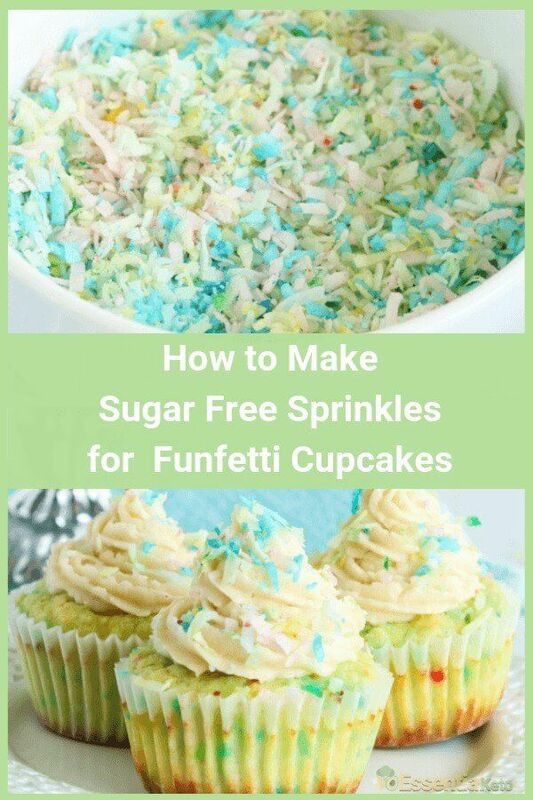 Then mix them altogether and you have sugar free confetti or funfetti sprinkles. If you feel adventurous, you can make your own natural food coloring. Don't Forget to Share or Pin it to Save for Later! 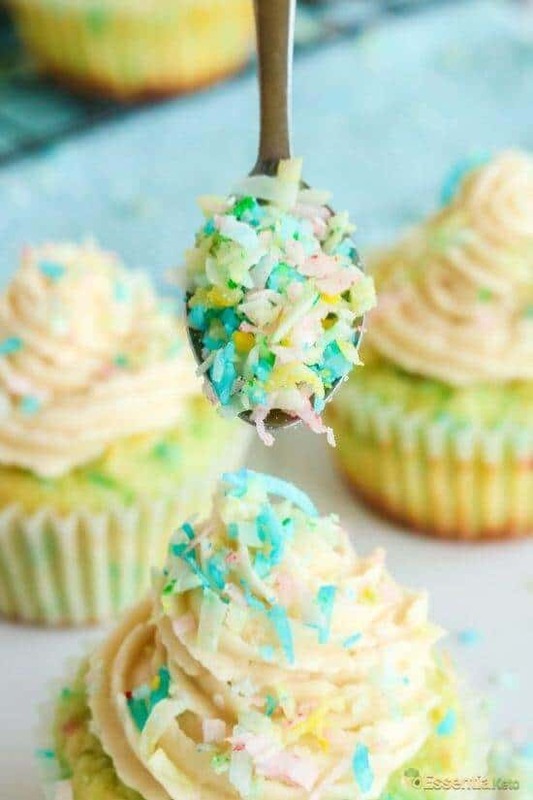 Now that we have our confetti, let's bake cupcakes! Mix together the butter and sugar, add the wet ingredients and then the dry ingredients. Then fill the cupcake liners evenly allowing enough space for them to rise. Bake and let them cool before adding the icing and more rainbow sprinkles. I love how moist, soft and fluffy these cupcakes are and how prefect they are for a Spring birthday party for a girl. 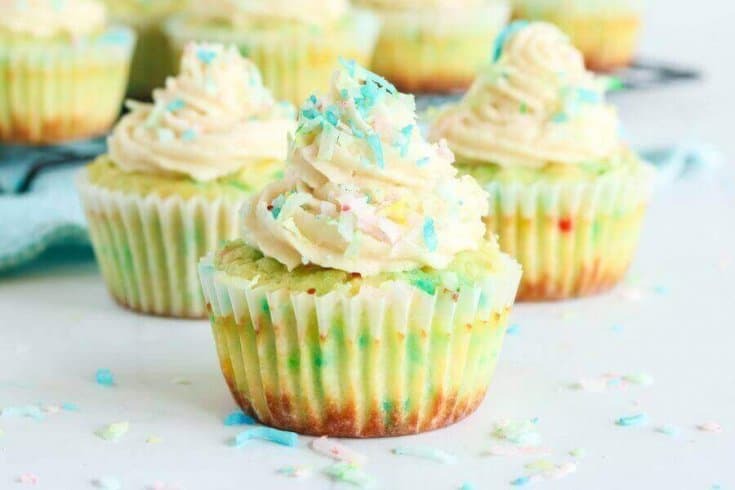 Beautiful and delicious keto vanilla confetti birthday cupcakes. Preheat your oven to 350 degrees and line a 12 cup muffin tin with cupcake liners. 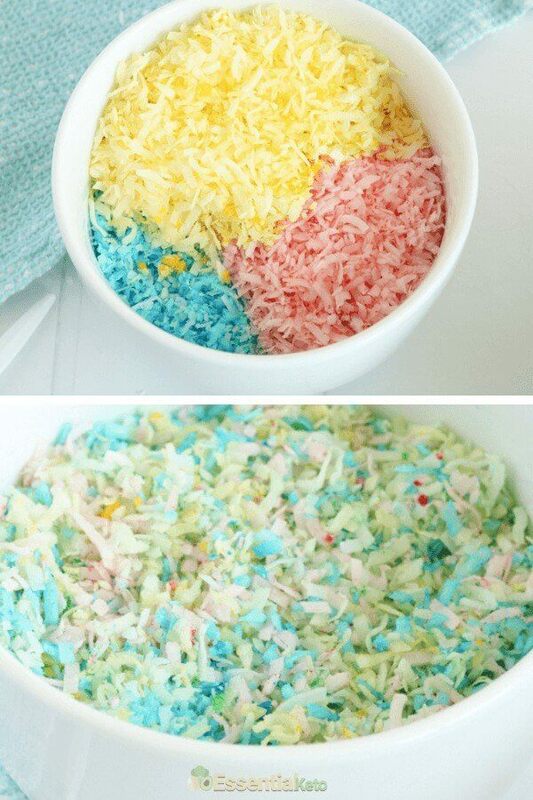 Divide the coconut into small bowls and use food coloring to color each bowl to desired shade. Only a very small amount is needed. 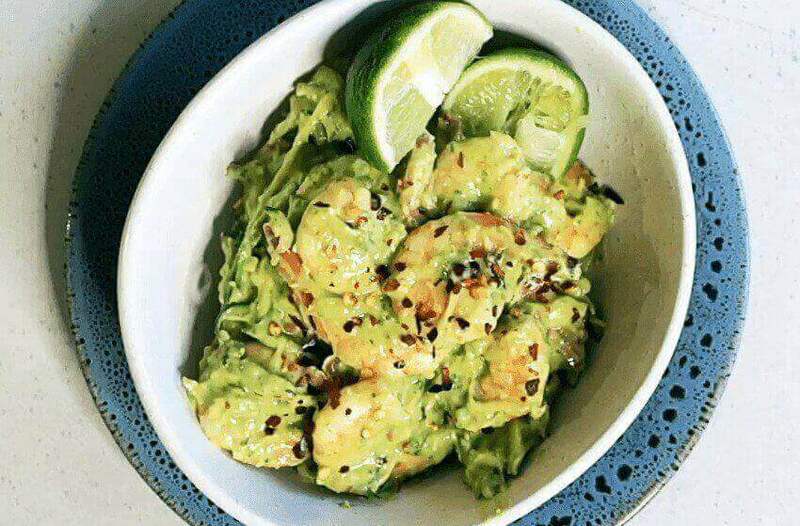 Mix colors individually, then combine in a medium sized bowl. Set aside. Combine the butter and sugar using an electric mixer on medium speed. In a separate bowl, whisk together the almond flour, coconut flour and baking powder. Then add to wet ingredients. Stir very gently, mixing only until just combined. Add about ¾ of the coconut to the batter, fold in gently. 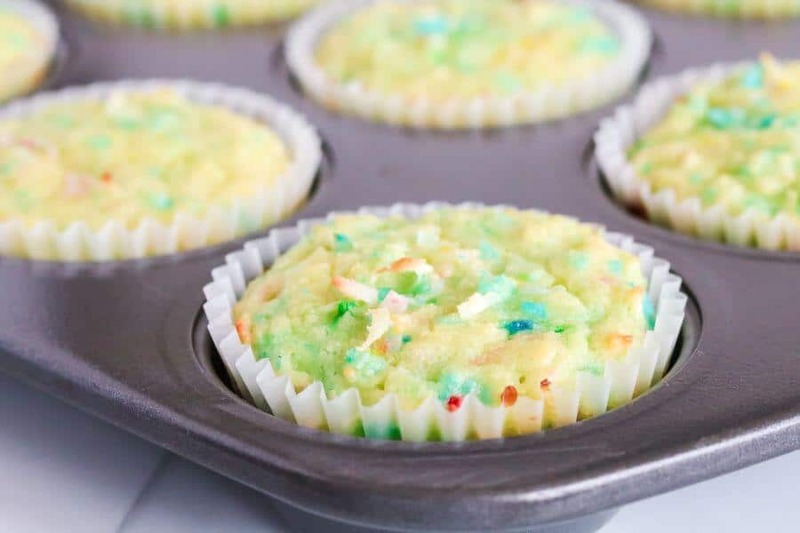 Fill cupcake liners equally with batter. Bake for about 25 minutes or until toothpick inserted in center comes out clean. Cool completely. 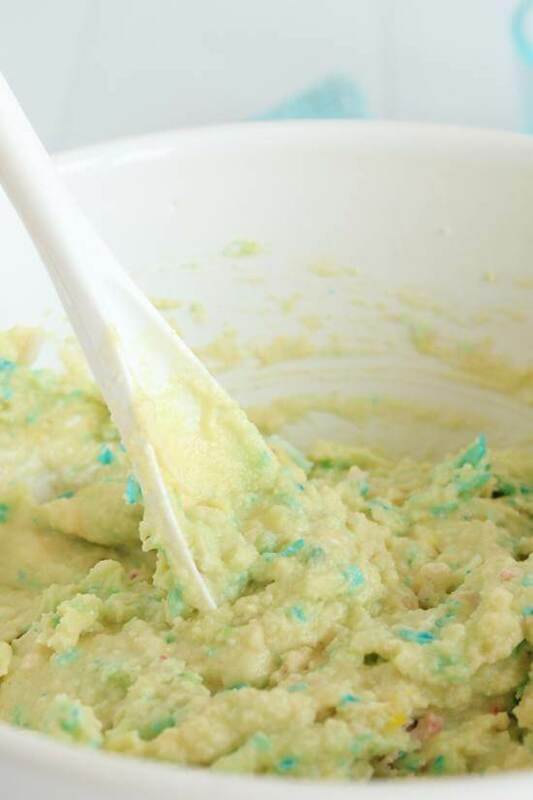 Meanwhile, prepare the icing by mixing all icing ingredients using an electric mixer on low speed. Mix until smooth. 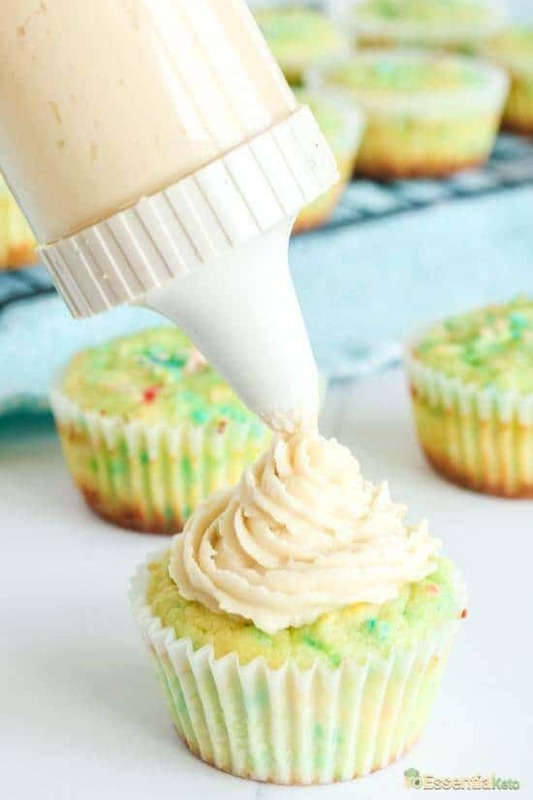 Frost the cupcakes with a piping bag or a knife. Garnish with additional coconut sprinkles. 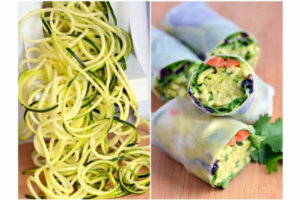 * The food coloring is not included in the macro’s due to varying differences in brands. So be sure to check your natural food coloring ingredients carefully. Nutritional information can vary depending on the specific ingredients you use. Always double check with a carb calculator like MyFitnessPal. Low carb baking is not as simple as replacing all purpose or cake flour with a low carb or no carb version. Almond flour and coconut flour behave very differently to normal flour and coconut flour absorbs way more fluids than the other flours. 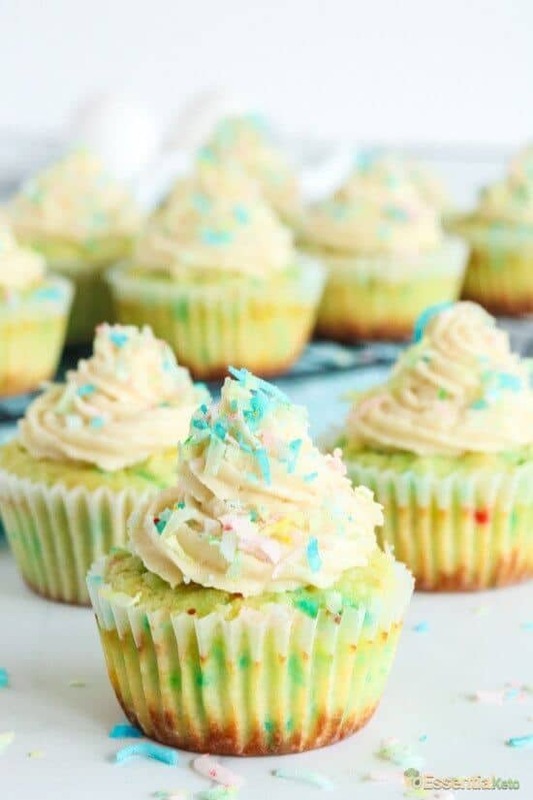 With this recipe the mixture of almond and coconut flour gives a perfect texture for the cupcake and it is moist without the coconut dominating. Want to know more about low carb flours, then you this guide by Vince from Nutrition You Can Use is a good starting point. Be careful not to over-mix when the flour is added, otherwise the batter will crack when it cooks. These little cakes are perfect for a birthday party. 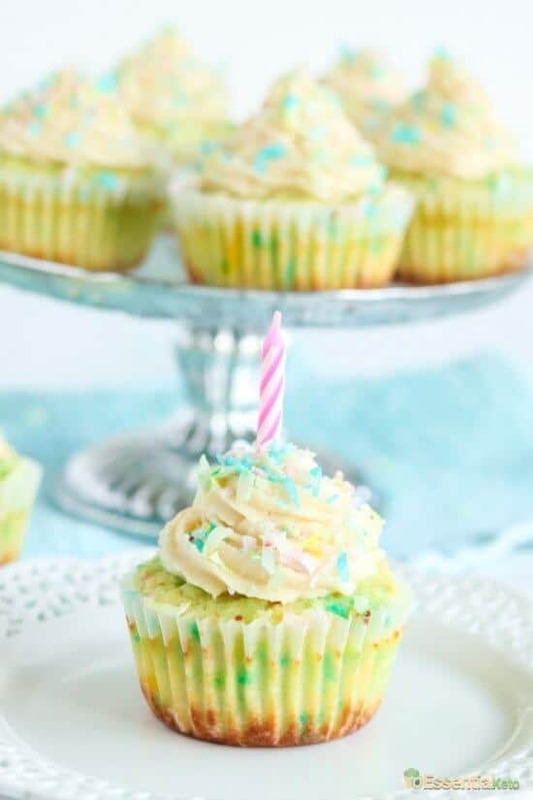 The funfetti trend is very popular, so develop your whole birthday theme around it. Or incorporate them into a unicorn, rainbow or barbie theme or create an all pink wonderland. Also we'd love to hear from you. 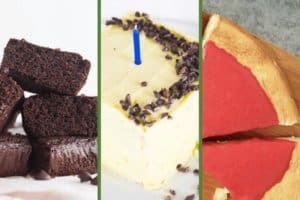 Please share your birthday ideas with us and if you are looking for more low carb cakes for special occasions, check out these three divine treats.